Becoming the victim of a burglary is a common occurrence in Australia and statistics can prove this. Every year, more than 200,000 robberies are recorded all over Australia. On national level, incidents of home thefts are more prominent in Western Australia and the Northern Territory than in the Australian Capitol Territory (ACT), where there are lower burglary rates. The fact that we have higher burglary rates than most European countries including Spain, Germany and Sweden is a clear indication that the incidents of home thefts are a serious problem in the country. To avoid being seen and caught, thieves often sneak around looking for a hidden entry, usually at the back of a house. In most cases, they are after valuables that can be quickly and easily taken out of the house like laptops, wallets, mobile phones, jewellery, power tools and handbags. 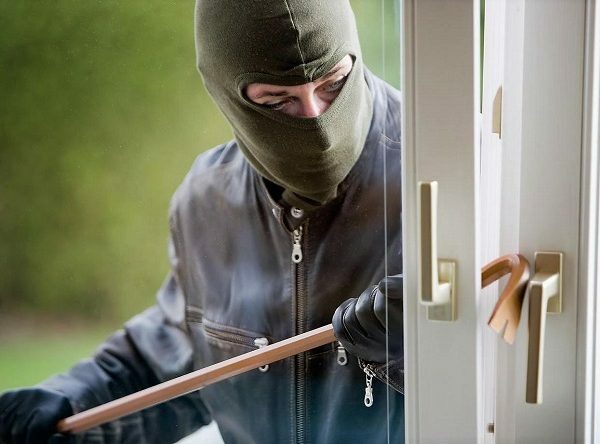 Homes that have malfunctioning or no security devices like alarms, double security screen doors, surveillance cameras and protective grilles, are the easiest to brake into and are therefore the main target of burglars. That’s why every homeowner should pay special attention to home security. To ensure the safety of your family and property you need to consider different security options that provide enhanced protection against home thefts and other kinds of security threats. Installing security doors is a great way to prevent burglars from breaking into your house. There are various types of security doors that provide different level of security. Standard models usually come with a sliding opening mechanism and feature security locks. A more advanced model are the double security screen doors which can come with either a sliding or a hinged mechanism. They are very easy to install and are made from durable materials like stainless steel and aluminium. The main feature that makes double security screen doors so efficient is their advanced locking system, which can’t be easily tampered with and will keep your home safe from sneaky thieves. Forgetting to lock your door is one bad habit that can make you a burglary victim in a matter of seconds. Aside from looking for a hidden back entry, other things that burglars search for while scoping your property include unlocked doors and open windows. So, before you leave your house, double check your doors and windows and make sure they are properly closed and locked. Don’t forget to check your patio doors and the door leading to the garage. With a few simple steps you can increase the security of your outdoor space so burglars won’t have an easy access to your home. First, consider getting a durable and advanced padlock for your fences, garage doors, and gates that will allow you to keep your outdoor entrance properly locked. The next step is to install smart lighting that can serve a double purpose- improve visibility at night and enhance the security of your outdoor space. To keep potential intruders away, you can install motion sensor lights at outdoor areas like entrances and walkways.